Carbon steel can be galvanised by dipping it into a zinc bath or by subjecting it to an electrolytic deposit process. Hot bath coatings are applied to components used in the water industry because the protective layer will be thicker. A resistant zinc carbonate layer will form on the surface of the bare zinc in air in contact with oxygen and carbon dioxide, and with water vapor. In this way, the zinc layer protects the steel substrate by forming a barrier to the corrosive medium and by acting as a sacrificial anode. The anodic zinc layer will provide protection even if a small proportion of the total area of the zinc layer is removed or becomes corroded because zinc is anodic in relation to steel. In water that contains dissolved calcium and alkalinity, a layer of calcium-zinc carbonate will form and protect the zinc layer. Ideally, exposure to moderately hard water having a neutral pH (pH 7.0 – 8.0, 10 °F of calcium, 10-30 °F TAC) will produce a base zinc carbonate protective layer over the surface. This protective layer enhances corrosion resistance against aggressive agents such as chlorides (up to 450 ppm), sulphates (up to 1 200 ppm) or nitrates. Conversely, zinc corrosion can develop rapidly in contact with water that is not very hard (< 5 °F), with a high pH (> 8.3) and high alkalinity (> 30 °F). Under these conditions, porous corrosion products that do not offer any protection and are known as "white rust" will form on the surface and cause the corrosion phenomenon to develop. The surface must undergo a preliminary treatment using an appropriate phosphate base chemical process in order to minimise zinc corrosion when the system starts up. Zinc corrosion increases with temperature, reaching a maximum at approximately 60°C. For a metal temperature of approximately 70°C, zinc becomes cathodic in relation to the subjacent steel and causes pitting corrosion where the zinc layer has been breached. Galvanic corrosion will occur when heavy metal deposits such as copper are formed (e.g. corrosion in upstream copper alloy components). 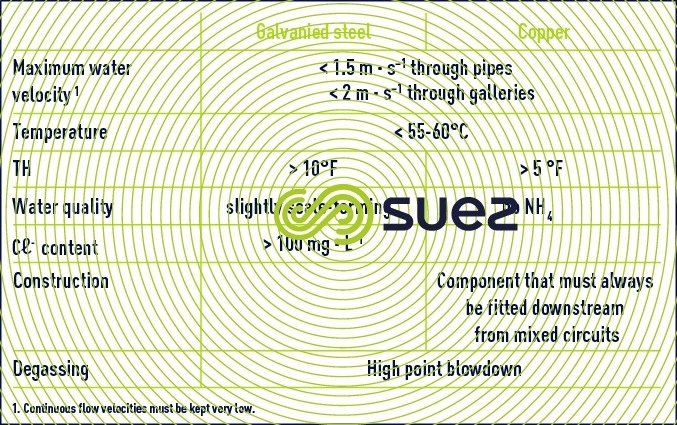 Table 3 contains recommendations on the use of galvanised steel and copper in domestic hot water circuits where these metals are widely used.